What can I say…this has to be hands down the best jersey I’ve ever had. Do read on… I’m tall, 5’10” to be precise and this jersey just fits me, it works very well and looks damn good in the process may I add. Forget about the price for a second. The things I like most about this are the windproof fabric on the front twinned with the breathable mesh on the back! It’s just a winning combination and does exactly what it’s supposed to do. Keeping the rider warm on the descents without having to put on arm warmers or fiddle with awkward zips, while allowing for cool, breathable style on the ascents. The pockets are sufficient and the fabric has a slight stretch to it. Especially helpful when rolling up sleeves on the move. One the one hand I love this and see it as an investment piece, on the other I am a little sad it’s taken me this long to find it. I certainly would like to try more of the Assos range now. Note I am a size 12 and fit a L in Assos it seems so I would say that they size quite small. 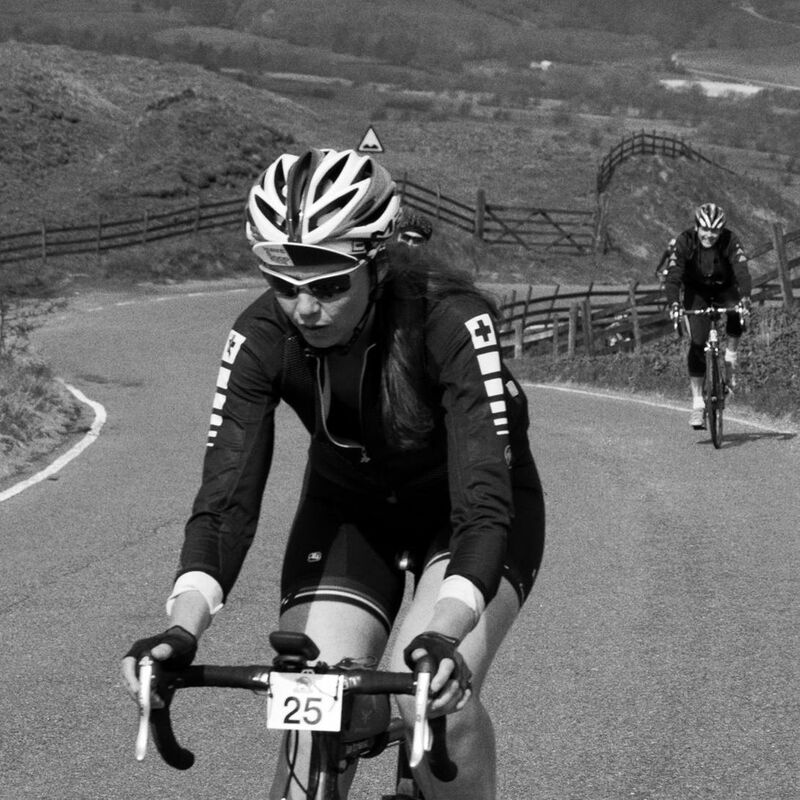 *Photograph from the High Peak Hog (Whole Hog) Sportive May 2015.